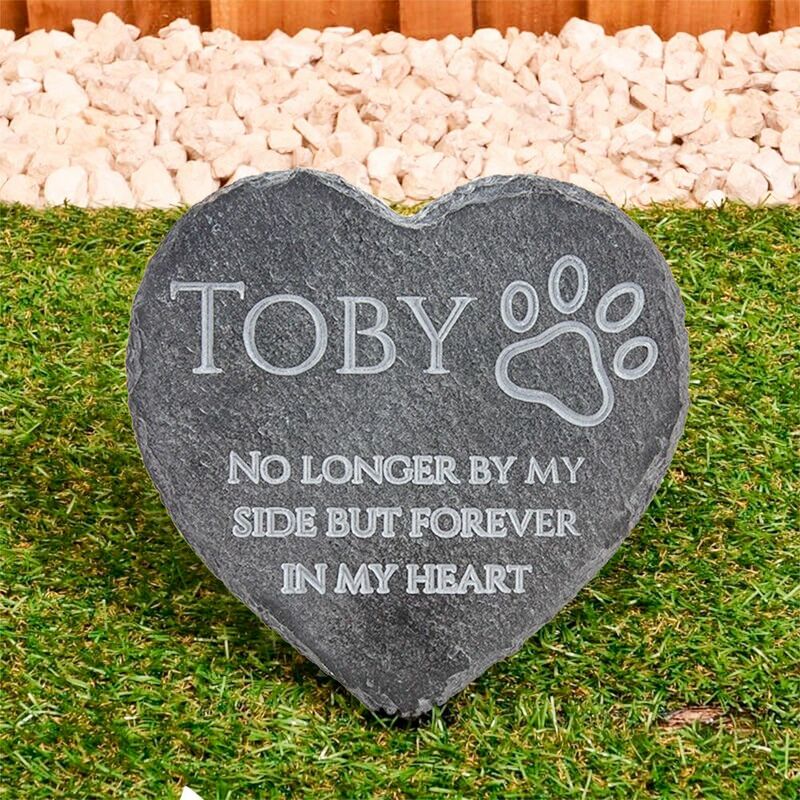 Our engraved slate pet memorial heart is the perfect way to remember your beloved best friend. It is always hard to lose a part of the family, and a personalized pet memorial slate will help that memory live on. 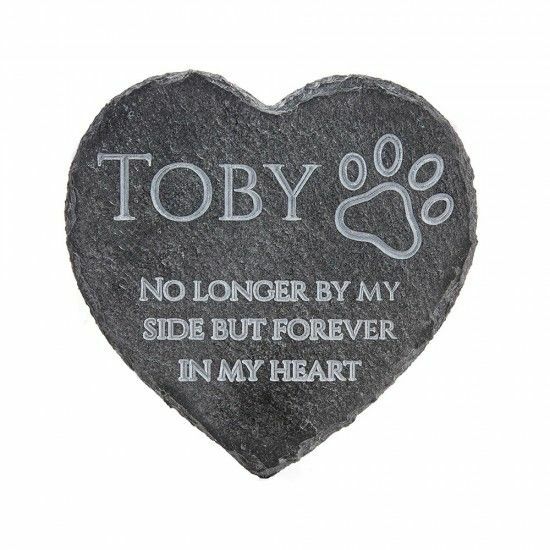 Remember your pet with a personalized pet memorial slate heart. This tile is engraved with your pet's name and a nice quote of your choice. Please not slate is a natural product and every piece is different, markings and colour will vary slightly giving the slate its own unique charm. Simply add the name & verse you would like into the text boxes on the right hand side and choose the font styles for each text from the drop down options before adding to cart. We will then create the design and email a digital image for your approval. Once approved the item will be engraved and despatched. If you have any other design requirements or fonts then please contact us via email or the online chat and we'll be happy to help. 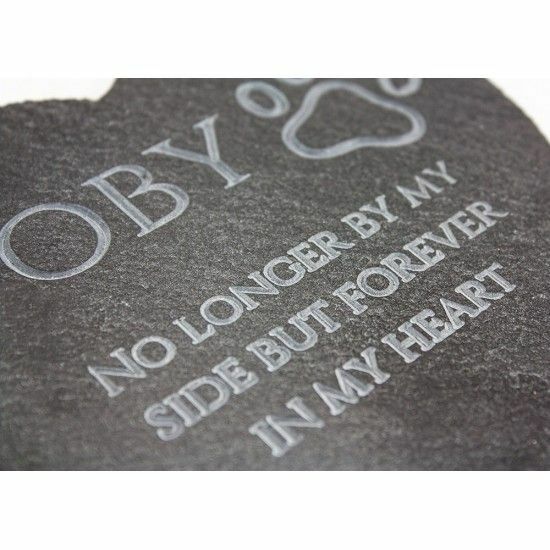 Perfect memorial plaque beautifully engraved with our own heartfelt words. The attention to detail is very good.